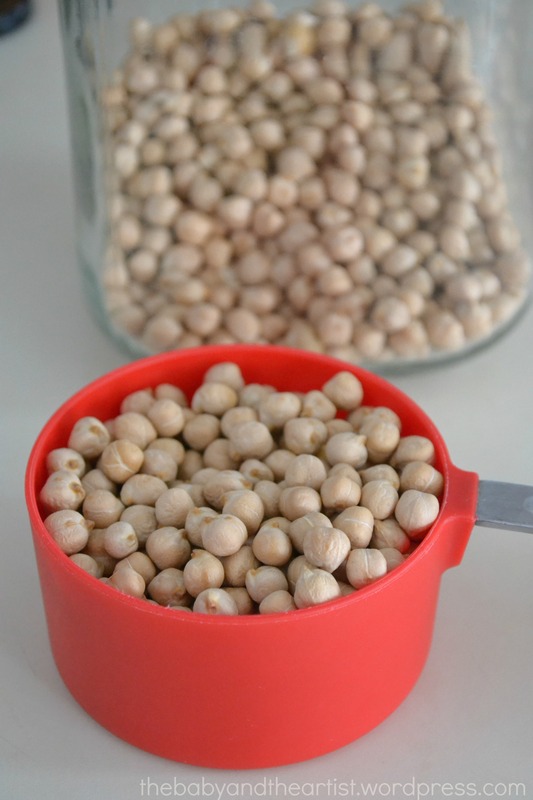 Chickpeas made into hummus. Simple. And yet, the very act of remembering to soak one’s beans prevents many people from making this dish. Hummus takes a bit of planning. A craving [for homemade hummus] on Tuesday must be satisfied on Wednesday. First the beans must be soaked in water over-night. Then the beans must be cooked, and later blended with tahini, fresh lemon juice, etc to make the hummus. Simple.